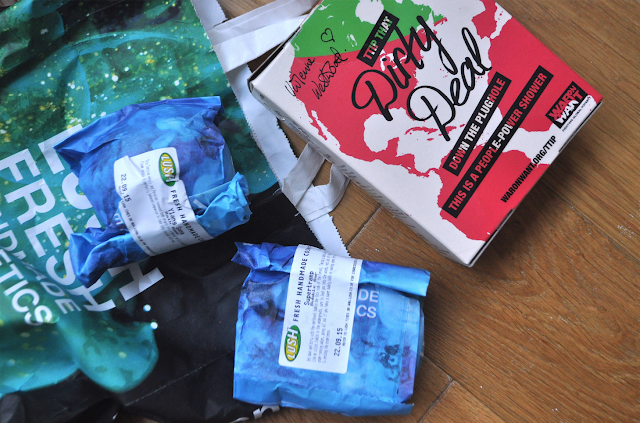 OXFORD STREET LUSH HAUL. | Life Looks Perfect. Last week before I even made it to a few evening blog events, I stumbled in Lush's flagship aka probably the best store I have ever been to in my life on Oxford street. You only have to walk down the street to feel the alluring aroma coming out of the doors. If you aren't a Lush fan I am worried! You just need an experience of this place to just fall I love. I actually think it's almost impossible to not walk out with your bags full. Stumbling in as I mentioned, I really was there to try and get my hands on the new Dirty Deal shower box £12.50 adorned with my hero Vivienne Westwood's signature and her signature style all over the box. Vivienne is a huge campaigner and for Lush to get her on board is incredible. 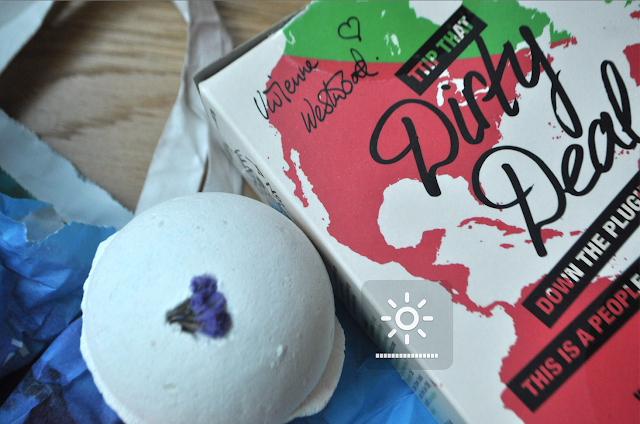 All the profits from the box are going to Bold groups across Europe who are fighting back against the Transatlantic Trade and Investment Partnership, as Lush call it a "Dirty Deal" between the EU and USA. Lush have taken their campaigning to the next level with the backing of such a huge figure like Vivienne and I do hope that their campaigns do help make a difference. So I did manage to get myself one and I'd love to comment on the product but as collector of all things Westwood there is no way I'm using this one! However if your interested in the product it's pretty much like having a bath bomb experience in the shower! And it's scent is in usual Lush style smells strong of rose and bergamot. I of course managed to find two other products that I haven't tried before and now I have a bath of course I had to get a bath bomb! I have tried pretty much all of the Lush classics so trying to find an exclusive was a toughy. However I did finally find one called Ylang Song, one of my all time favourite fragrance notes which has then been blended with neroli and peony. I mean floral bliss! I also picked up Supertramp bubble bar that just captured me with its fragrance. Baby pink and mints swirls of colour capture the deep dark and sensual smell of the forest. Much like my love for this scent is an unusual one as usually I would never pick something like this but OMG it's amazing. So I'm at Lush this evening for their big Christmas reveal and I am going to try my hardest to not spend a fortune!!! 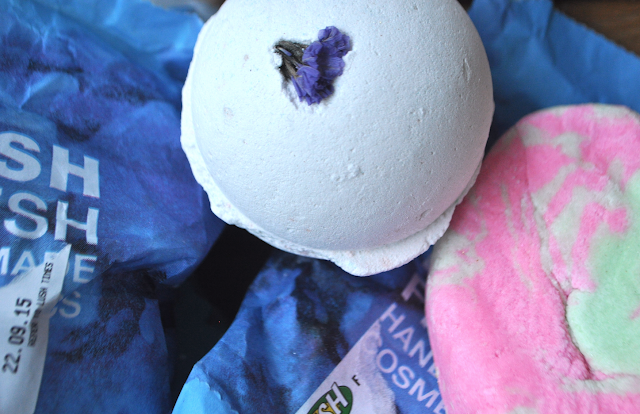 Keep an eye out for my Lush Christmas finds next week! TAGS BATH AND BODY., NEW BEAUTY.